Wedding anniversaries should be a special time of love, dedicated to your other half. However finding the perfect gift for such an occasion can often be challenging. This year for our anniversary we spent a romantic afternoon/evening at the Arizona Inn in Tucson and it was by far the perfect celebration of our love. 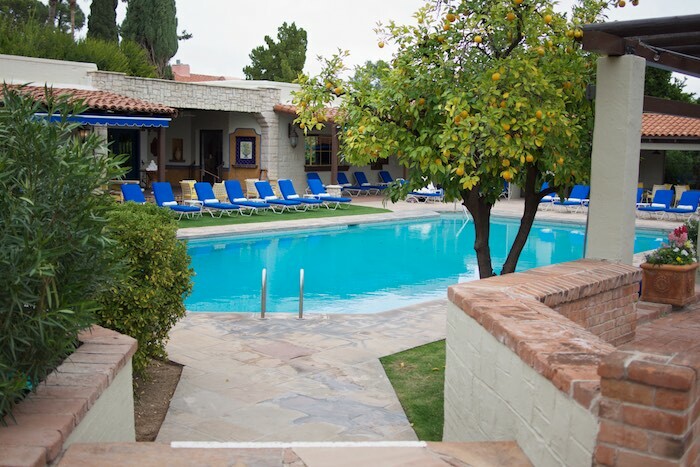 The historic Arizona Inn, built in 1930, is located in a residential neighborhood close to the University of Arizona. This family owned and operated inn consists of 92 casita style rooms. 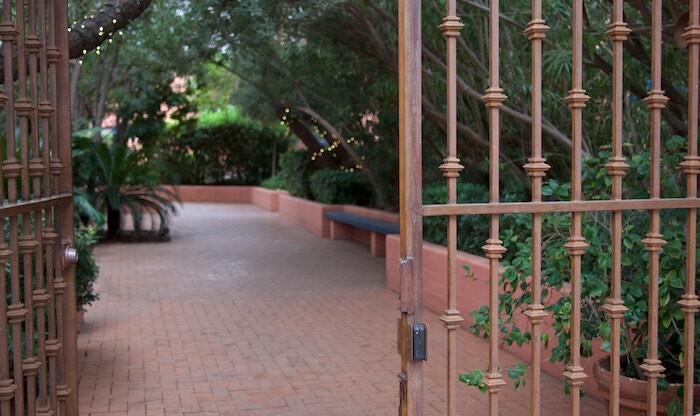 strategically spread out over 14 acres of well maintained gardens. 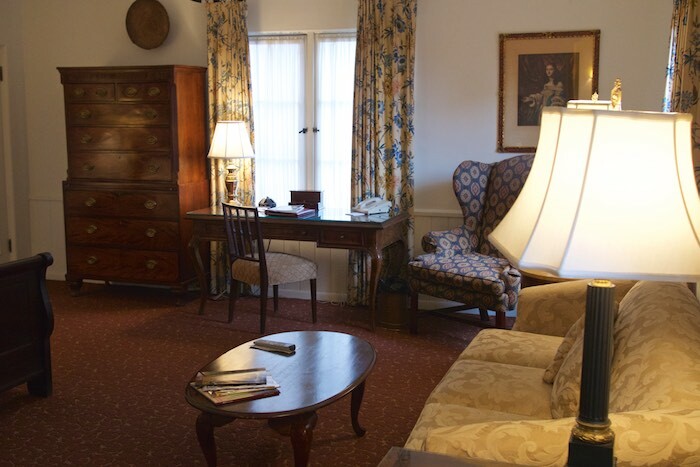 The boutique hotel maintains its old school charm while offering guests all the amenities of a modern resort including: free WiFi, complimentary bicycles, a 60 ft. heated pool and a newly remodeled exercise facility. Upon arrival we were greeted by attentive staff members, who immediately made us feel at home, and escorted us to our deluxe suite. The recently remolded suite, which is entered from a private patio, featured a large walk-in closet, nice-sized modern bath and numerous pieces of vintage furniture. 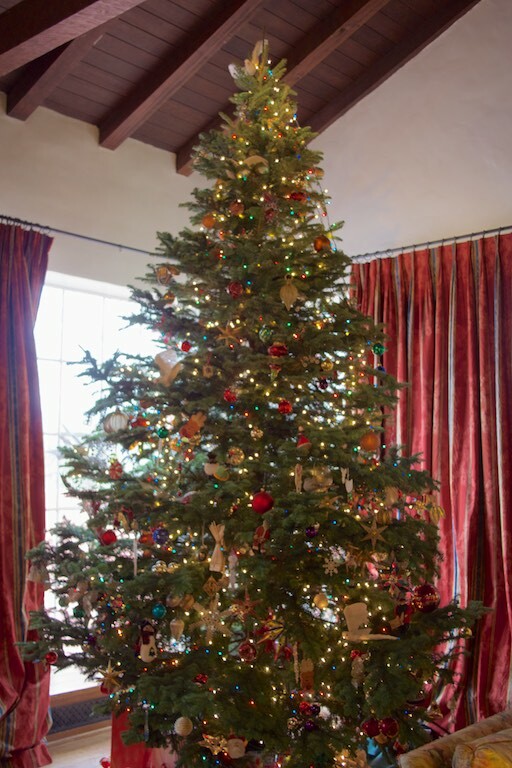 The Inn's library, which was beautifully decorated for Christmas during our stay, is the perfect gathering to intermingle with guests or enjoy a quiet morning reading. and an assortment of hot beverages. Dinner is served in the main dining room from 5:30-9:30 nightly. 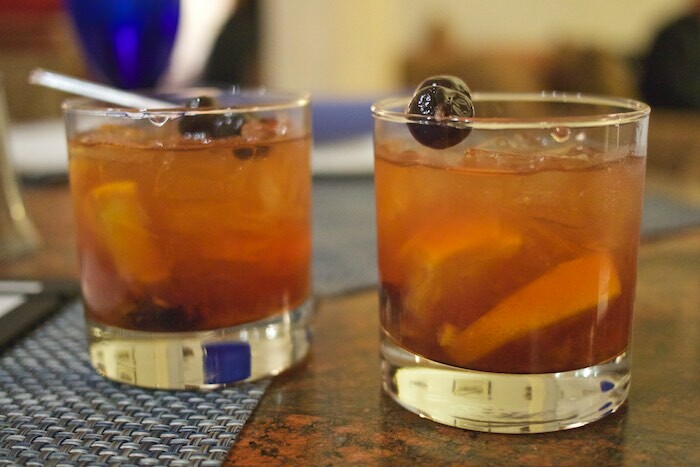 Before dinner I would highly suggest a stop at the Audubon Bar for cocktails and live piano music. 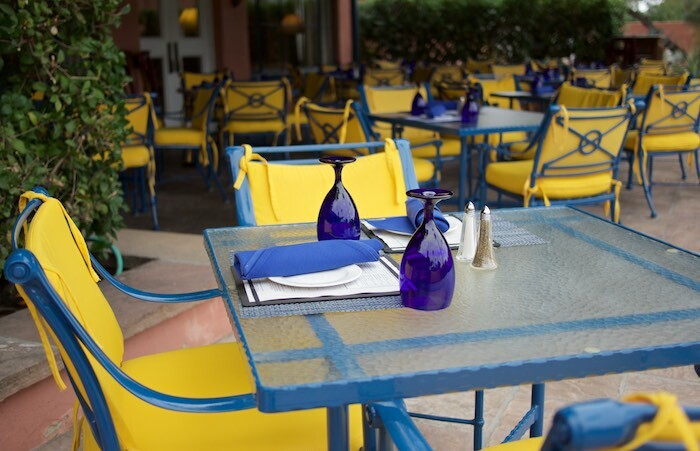 There is also a beautiful patio for al-fresco dining when weather permits. We started dinner with tiny BLT's. 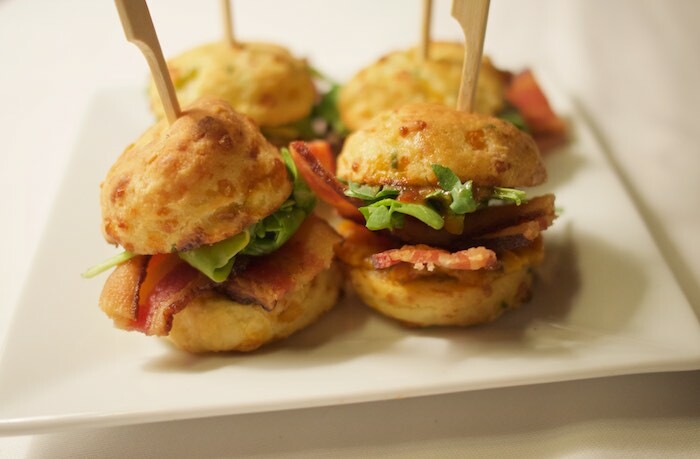 A twist on the classic BLT, they were a delicious combination of bacon, arugula, tomato jam and bacon mayo served on cheddar biscuits. 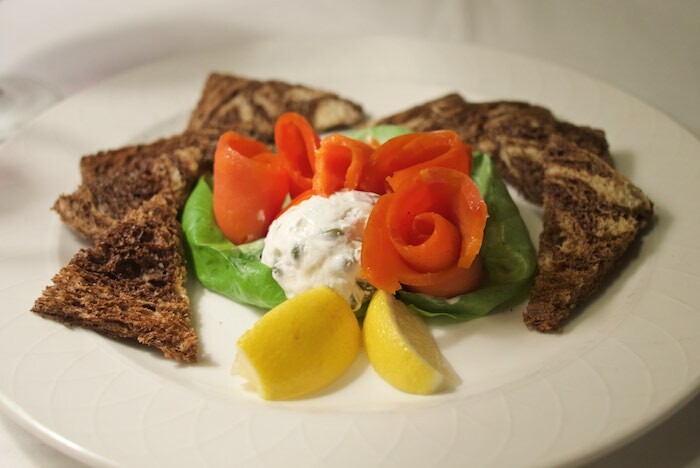 The smoked salmon appetizer served with capers and red onion cream cheese mousse on rye points was stellar. 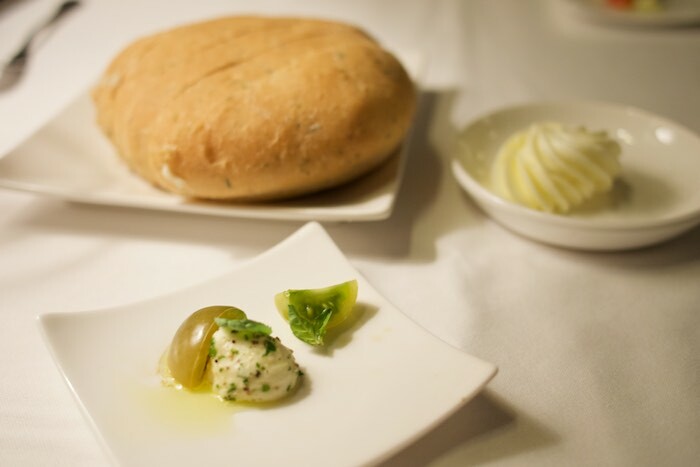 That evening's amuse bouche, served with warm herbed bread, was a small bite of mozzarella & fresh tomato. 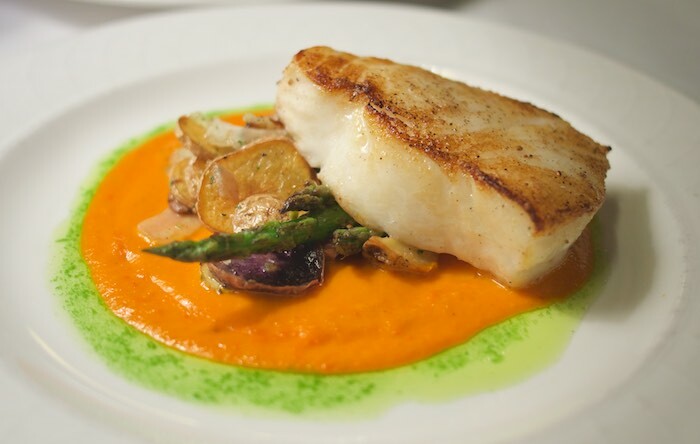 For my main course I choose the fresh fileted Chilean Seabass served on top of fingerling potatoes and a delicious red pepper sauce. A great choice for any seafood lover. 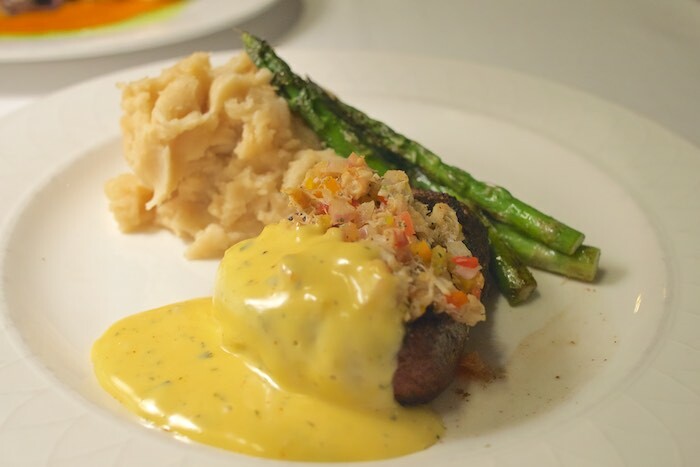 My husband ordered the Filet Oscar which was served with a crab claw relish, béarnaise sauce and garlic mashed potatoes. The steak was cooked to perfection and a nice change of pace to the traditional lump crab meat topped Oscar. 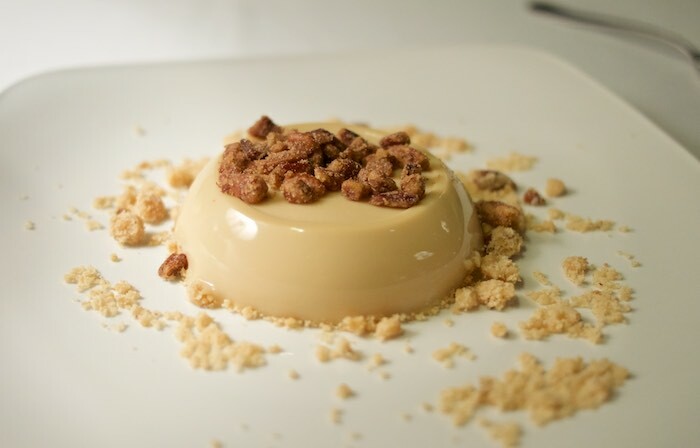 After such a delightful meal there was not much room for dessert so we decided to share a maple panna cotta topped with pecan sandy crumble. The perfect ending to our meal. 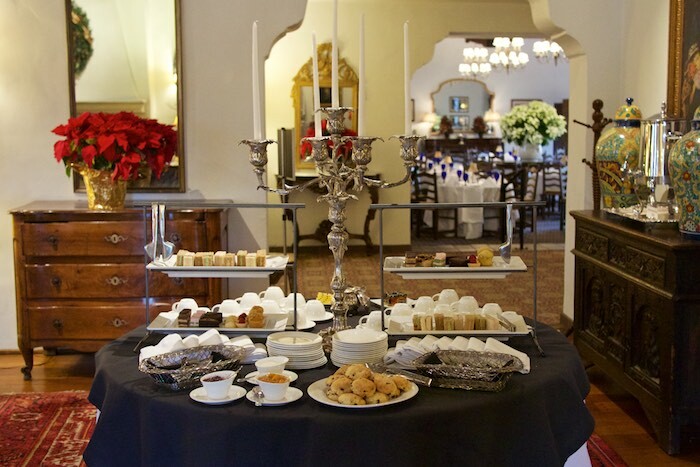 The Arizona Inn, which is less than 2 hours from Phoenix, is a wonderful getaway from the daily grind and a lovely place to celebrate a special occasion. This experience was provided complimentary but all opinions are my own. This looks like my kinda place! Lovely pictures! Looks like a lovely place. I love the afternoon tea! This looks like a very special place. Those mini BLTs and the smoked salmon? and the afternoon tea with scones and clotted cream? I hope you had a taste of everything!! What a charming place to visit. I especially love seeing that pool now that it's the middle of winter, and I'm freezing in the Midwest. Oh and those BLT sliders...Yes, please! Wow! Looks like a great place to stay! What a gorgeous inn! And I'm with Renee - I'd love a plate of those BLT sliders! Happy Anniversary! 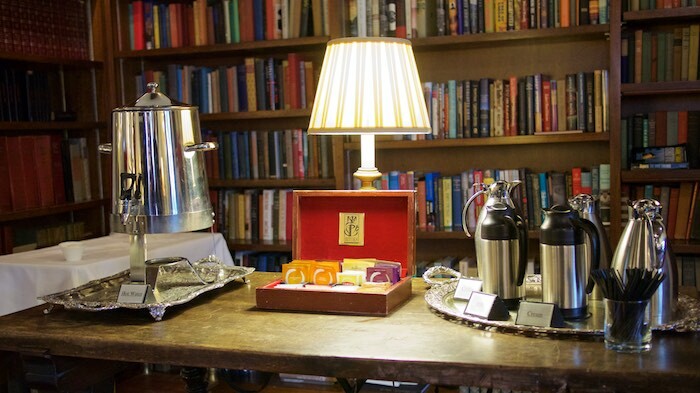 I'm daydreaming of snacking on tea and scones with clotted cream in that library. What a beautiful setting for an anniversary weekend. Those tiny BLTs are too cute. I always wanted to stay there, looks as divine as I imagined it! Wow. Thus place sounds amazing! 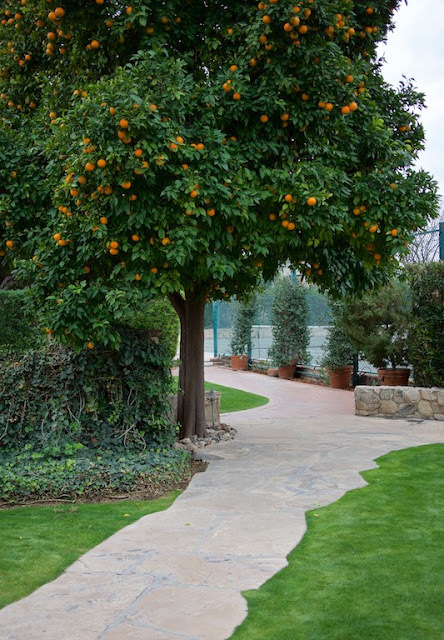 A native to San Diego, just the image of the orange tree at the entrance had me hooked! It all looks lovely! What a nice dinner! I love going to hotels that have tea service with snacks. What a lovely in, and what a delicious looking dinner! But it was the sweet tea service that really caught my eye -- I am a sucker for a good tea service.